I am really struggling to get through Luke Cage season 2. Would someone be kind enough to tell me if I need to watch it before watching Iron Fist season 2? Half way through season 1 of The Expanse and loving it so far. I'm a big fan of BBC's Line of Duty and the new miniseries Bodyguard from the same creators is absolutely brilliant. The company behind both series, World Productions, are going to be producing a Drama for ITV about Anne Williams written by Liverpool fan Kevin Sampson who was at Hillsborough and Anne's daughter. Maxine Peake will play Anne Williams. Started watching the first six episodes of Start Up which has Adam Brody in and Martin Freeman as a bent FBI agent. 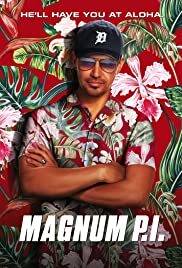 Set in Miami and features money laundering, shagging and gang violence. Just watched the City doc on Amazon. Pretty run of the mill stuff. Kompany seems like a real good guy though. Where is the tache ? Canadian Police have to be the most polite in the world. They take a lot of sh*t that wouldn't be tolerated in the UK, but only up to a point. They are really non confrontational, always looking to de-escalate situations. Takes a fair few episodes to get into but as you get deeper into the series it all starts to fit together. Episode 9 was a real top episode of TV for me and the highlight. Turn your lights off and watch it if you are into horrors, it’s genuinely got you on edge throughout. Trust on BBC, about the Getty family, set in the early 70's. Ace soundtrack, full of class tracks. Cool performance from one of my fav actors Donald Sutherland. Has had glowing reviews, hasn't it? I will watch it next week! Yeah everywhere has brilliant reviews of it. Slow, heavy going, focusing on technical details with little in the way of "big picture". 3 episodes in so far, and while it's interesting stuff, it's not gripping like the first series was. Camp as f**k, quite funny in places. Decided to watch it after you mentioned it and just finished episode 7, and as you mentioned, camp as f**k, quite funny in places, but surprisingly, it is darkish in a subtle way. Will probably watch it all by the end of the week, and whilst it's okay, it's something I wouldn't dwell further and not watch season 2 (if they release it). Finished the haunting of hill house. Was absolutely brilliant but not a big fan of the last two episodes, it went away a bit from what I was enjoying about the series but it’s a minor complaint of a very good series. yeah, I didn't want to mention the "dark" stuff in case it was a spoiler for anyone. Another one that was daft as f**k but quite enjoyable was GLOW.